Our mission as a manufacturer of round and shaped wire is to lead the industry with our commitment through team work and continuous improvement of our processes to provide our customer with the highest quality of price, product, and on time delivery. 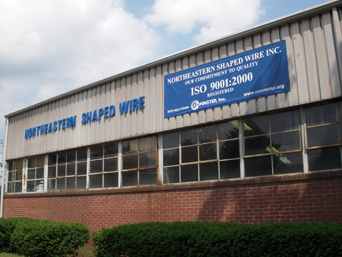 Click here and fill out our online quote form to receive more information on how Northeastern Shaped Wire can provide our outstanding service and quality to your next round, flat, or shaped wire order! Quality & Speed set us apart from the rest of the shaped wire industry. Call us today for your next job, or get an online quote! All information ©2002 Northeastern Shaped Wire.